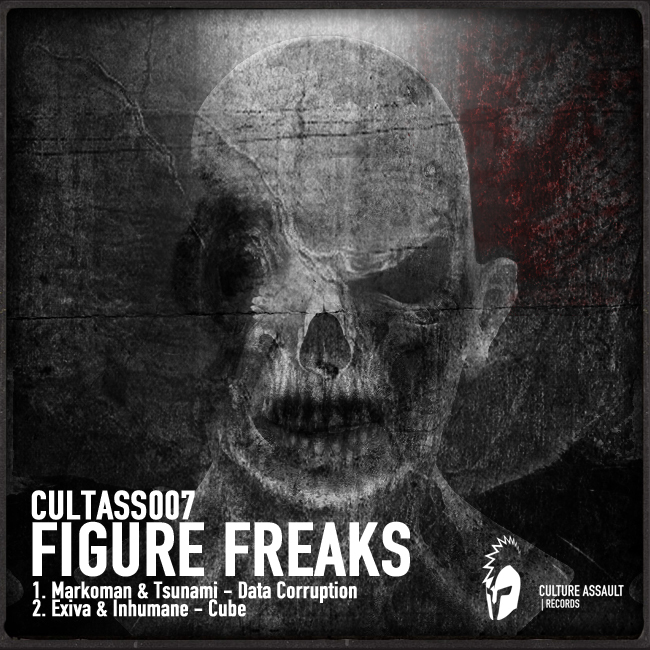 CULTASS007 - Figure Freaks | Joomla! After a long and dark period in the shadows of alpine caves and scottish glens we are back with another bombfucking yet leek technoid release. Let us introduce to you CULTASS007 going by the name FIGURE FREAKS. This is a release we are long waiting for to show to the public cause of it's intense rolling maulness. Yeah, MAULNESS = tearing down every single venue you will play it out. 100% guarantee. Featuring in this release you'll find two of the most upcoming producer duos of 2010. Slovenian masterminds Markoman & Tsunami (Markoman is widely known as for his team up with Smooth i.e. Telekinesis - signed by VIPER & Breed12" - and two upcoming producers Synchronize Rec's best Exiva & Inhumane signed on labels like TEMPER D Prod., T3K, VENOM and DARKBOX (\m/) hailing from Ukraine. No wonder, we from CULTASS are very happy to have them on board.